In today’s competitive and highly regulated financial world, litigation is often a necessary part of the equation. 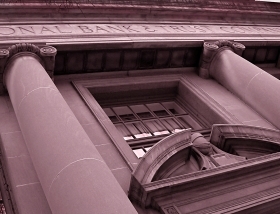 Banks and financial institutions of all sizes seek our help with such complex matters and the full range of alternative dispute resolution opportunities at their disposal. Our clients include community, regional, and national banks and financial institutions, as well as mortgage companies, finance companies, special servicers, noteholders, equipment lessors, credit card companies, and receivers, all of whom rely on our experience and strong industry background regarding commercial and consumer lending claims. The lawyers at Quarles & Brady are some of the most active, experienced and successful litigators in the country. We pride ourselves on the ability to quickly respond to client concerns, provide superior legal services, engage in skilled project management, and manage costs. As a result, our financial institution clients routinely request our assistance with the difficult legal issues they face.